One of the truly shameful injustices in all of college basketball is Bob Huggins’ absence in the Basketball Hall of Fame. 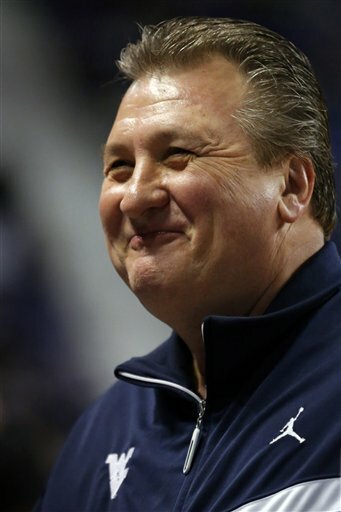 Each WVU game, announcers wonder aloud, “How can Bob Huggins not be a Hall of Famer?” After all, he has over 850 wins, has led two different schools to the Final Four, and has won 70% of his games over the course of his illustrious 36 year career. He is the 7th all time winningest coach in Division I college basketball history and has the 4th most wins of active coaches, behind only Mike Krzyzewski, Jim Boeheim, and Roy Williams. He will likely pass Adolph Rupp and Dean Smith on the all time list next year. I contacted the Naismith Memorial Basketball Hall of Fame in Springfield, Massachusetts and was informed that I would need to complete a nomination form. After submitting the completed nomination form, nominees are then added to the official ballot and presented to the appropriate committee for review. I can only imagine this committee painstakingly debating the difficult decision whether Coach Huggins should be inducted after reviewing his outstanding resume. At this point in the process, I learned that Bob Huggins had already been nominated for induction into the Hall of Fame. He was recently added to the committee nominations list and would be considered for Enshrinement on Sept. 5, 2019. It was a bittersweet discovery, as the selfish part of me wanted to be responsible for nominating Coach Huggins. Ultimately, however, I realized that my goal was already well on the way to being accomplished, and that was all that truly mattered. Still, I wanted to do my part to ensure that this long overdue honor would be bestowed upon our Hall of Fame-worthy coach. I wanted to send the committee members letters, rationalizing with them, providing them with the numbers that make Coach Huggins’ induction a slam dunk. Unfortunately, the committee members are kept secret. This committee is called the “Honors Committee.” The only thing known about the final selection process is that there are 24 members on the committee and 18 must agree for someone to be inducted. It would be criminally unfair if Bob Huggins doesn’t receive all 24 votes for induction. I pried for more information on the induction process with the good people at the Basketball Hall of Fame. A friendly gentleman named Matt is the Curator there, and after speaking with him several times, I learned that we will never know who sits on the “Honors Committee” (it could be 24 basketball experts ranging from sportswriters to former players and coaches, or it could be 24 monkeys). Following the vote, the number of how many committee members voted for and against induction will never be revealed and we will never know the reason for their votes. It will not sit right with Mountaineer fans if Bob Huggins is not voted in by a secret committee that doesn’t know anything about basketball; you would have to know nothing about basketball for that to happen. If you would like to have a friendly chat with Matt, the Curator of the Basketball Hall of Fame, please feel free to contact him Monday-Friday (10AM-6PM) at (413) 781-6500. He’s a very affable person, but you’ll never get him to admit that the selection process is antiquated and the fact that the selection committee is kept a secret is dumb. But please call Matt and try. (413) 781-6500. It is my hope that the secret “Honors Committee” will make the appropriate decision, the only decision that can really be made. After a long and difficult season this year, and many, many successful seasons in the past, there is no one more deserving. On September 5, 2019, he will become Hall of Fame Coach Bob Huggins. West Virginia vs Oklahoma Preview, What’s Causing the Mountaineers to Struggle?